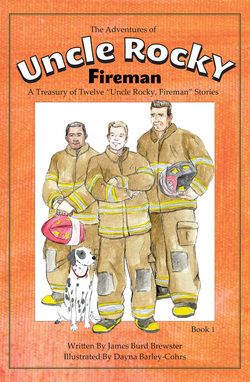 The Adventures of Uncle Rocky, Fireman is a chapter book for 3rd grade readers that contains 12 exciting Uncle Rocky episodes including "Fire!," "Something's Missing," "Sparky's Rescue," and "Sparky Protects." Other chapters include: "The Academy," "Missy," "Market Meltdown," and "The Man in the Jacket." Buy "The Adventures of Uncle Rocky, Fireman - Book 1"